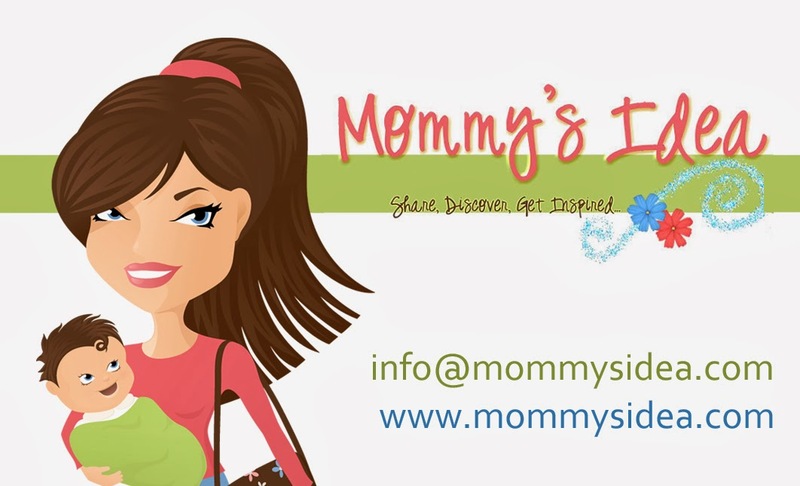 Mommy's Idea: Meet Stacey of Paci-Plushies! Use coupon code Mommys Idea for 10% off at http://www.paciplushies.com/. Tell us a little about you . . . My name is Stacy Dallman and I’m a 26 year old mother of two that enjoys tranquil walks in the park, soothing beach side retreats and pampering myself at lavish resort spas. Just kidding, who has time for all that when you’re chasing around a wild one year old and his wacky four year old sister all day long while simultaneously launching a new business?! Tell us about it . . . My first products are The Paci-Plushies™. Paci-Plushies™ are the solution that every mom of a pacifier using baby or toddler has been looking for. The soft, lightweight plush animals connect to nearly all Name Brand infant pacifiers, making the pacifier easier to find around the house and easy for baby to hold. Is it mom-owned, invented, created . . .? Paci-Plushies™ are Mommy Invented, Mommy Owned and Mommy Created. They truly are a labor of love, which is evident in the quality and design of the plush animals. Do you have a favorite product? 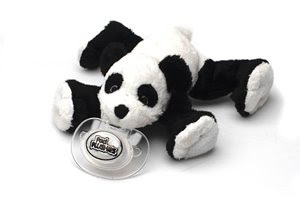 My favorite Paci-Plushie™ is Pasiley The Panda™. The only product that I cannot live without is my MacBook. A little about your entrepreneur journey so far? I have learned more in this past year through trial and error than I would have ever learned had I gone to college for a Business degree. It goes to show that anyone with a passion, anyone with a dream can achieve whatever they put their heart to. I was a regular 25 year old mother of two small children when I set out on this journey. I didn’t have the slightest clue about navigating through China to manufacture my product, or how to implement PR to gain exposure, or how to set up a website to sell the product. I’ve learned everything along the way with the invaluable guidance and support from the wonderful, like-minded women at http://www.mompreneursonline.com./ It’s been a year of highs and lows and everything in between, but it’s all been worthwhile and I would do it all over again in a heartbeat. On a personal note, what do you love most about being a mom? I love seeing my children develop and become positive, loving, compassionate human beings. They remind me how to be compassionate in every aspect of my life. I will use this coupon code on my next online shopping.